French Renaissance features a deep navy vintage ribbon made in France. Complimented with a pale blue silk dupioni, embellishments include iris cobalt blue czech cut beads, light blue charlottes, and cobalt blue seed beads. 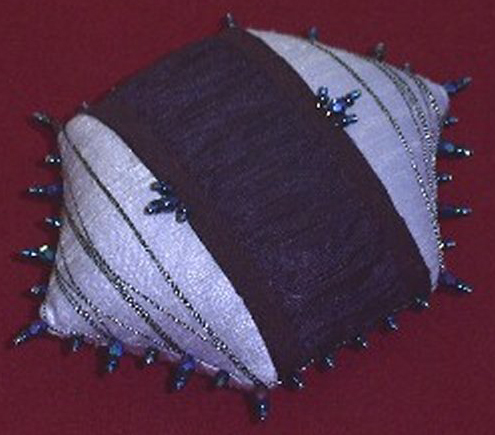 Antique silver threadwork completes the cushion. These kits are each individually numbered and initialed by the designer. Please check availability before ordering.